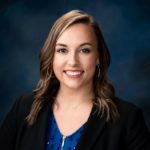 Hunter Hogan has been named sports coordinator for Visit Wichita (Kansas), joining Executive Director of Sports Development Brian Hargrove and Sports Sales Manager Josh Howell on the bureau’s sports sales team. Hogan will assist Hargrove and Howell in efforts to bring sporting events to Wichita and maintain relationships with key industry stakeholders. She graduated from the University of Louisiana-Monroe in 2018 with a degree in communications with a concentration in public relations. She played Division I softball and has three years of previous experience with an event company.